Note: If it says page is unavailable (503 error) - Please start the Service manually. 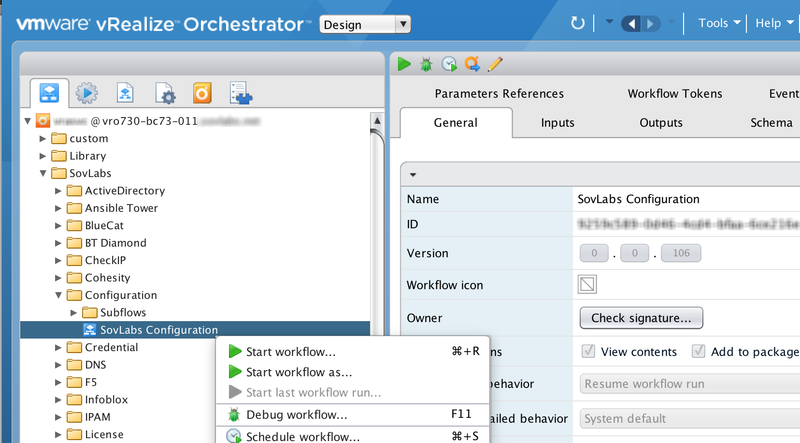 Built-in vRO: Browse to the vRA VAMI > Orchestrator > Orchestrator User Interface > Start. Stand-alone vRO: SSH to the vRO appliance. Run service vco-configurator start as root. Wait a couple minutes for the service to start. 2. Validate the Cluster Health by clicking on Validate Configuration and letting the checks Complete. Note: Restart vRA/vRO is necessary during a new install or else the SovLabs ‘types’ defined in our plugin will not be available and cause the Configuration Workflow to fail. All SovLabs vRA Event Broker Subscriptions are removed and regenerated as part of the upgrade process. Any adjustments to the priority codes for the SovLabs EBS post install will need to re-adjusted after an upgrade. 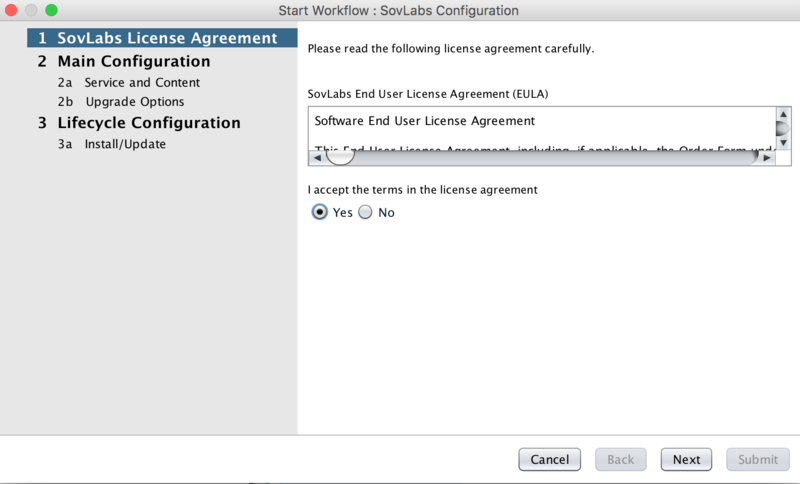 If the SovLabs Configuration workflow fails when executed. 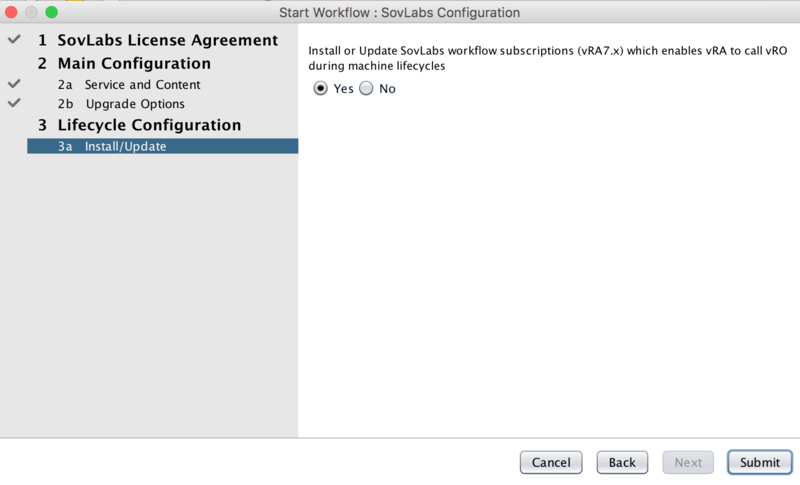 Check the vRO Logs for the error message 'Please reboot the VMware vRealize Automation Appliance and try re-running the SovLabs Configuration workflow again.' or 'THIS SHOULD NOT HAPPEN'(legacy). 1. Fix is to reboot vRA appliances - wait for services to Register in VAMI (10-15 minutes).